Story told by Don Mose, Jr.
told in the winter time. String Games are a winter storytelling activity that kids of all ages enjoy. 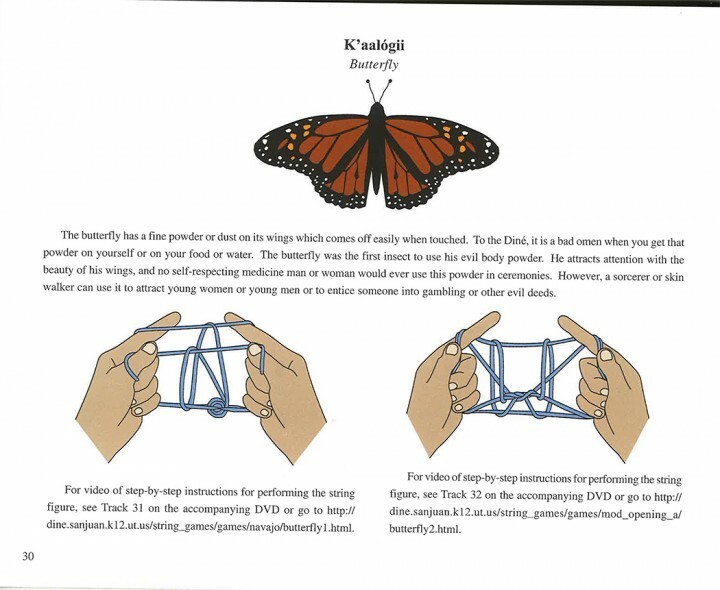 The string games are stories that you act out in patterns by intertwining hand movements with a string. Some of the hand movements are easily mastered, while others require skill and patience to learn. This book will provide you with the directions and illustrations you need to start having winter fun. 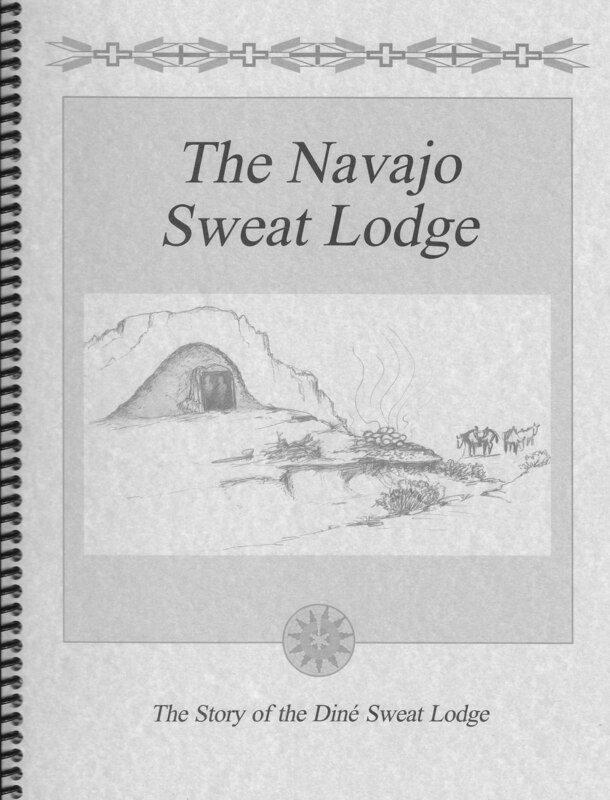 Tacheeh Baa Hane’ (Tacheeh refers to “good” or “well” or “to go into”) relates the teaching of the “Sweat Lodge.” The teaching was given to the Dine by the Holy People. 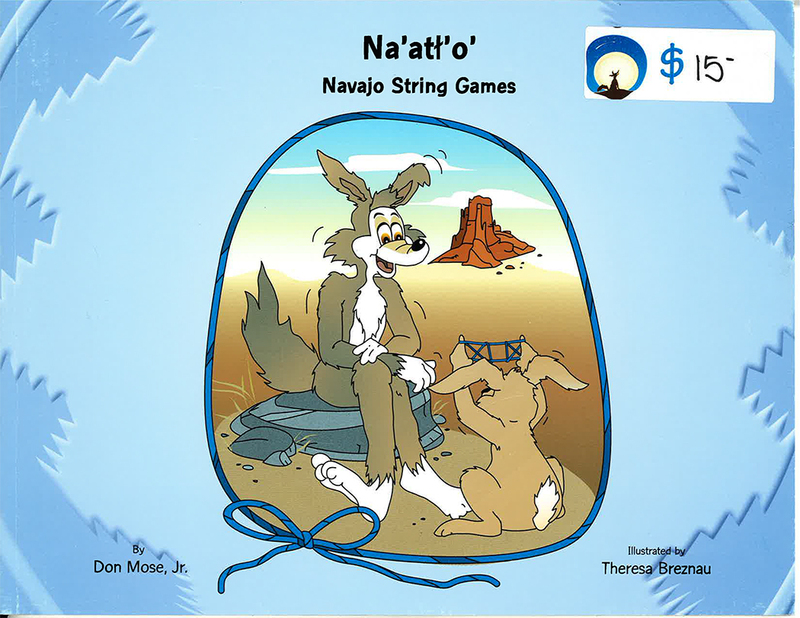 This bilingual (English and Navajo) book was written and illustrated by Don Mose, Jr and has 20 pages. 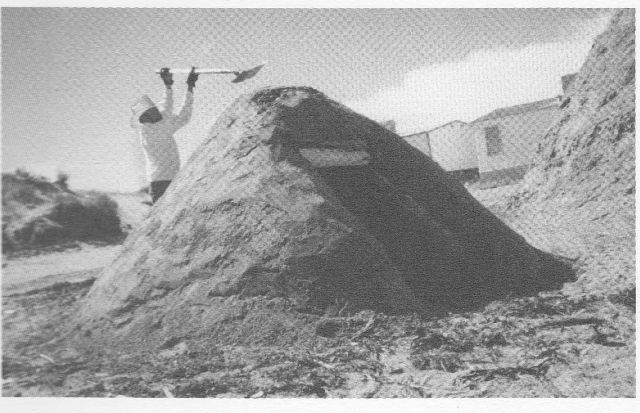 In addition to the history and narrative, the book contains photographs of a sweat house construction. A “flip” book in English and Diné Bizaad. 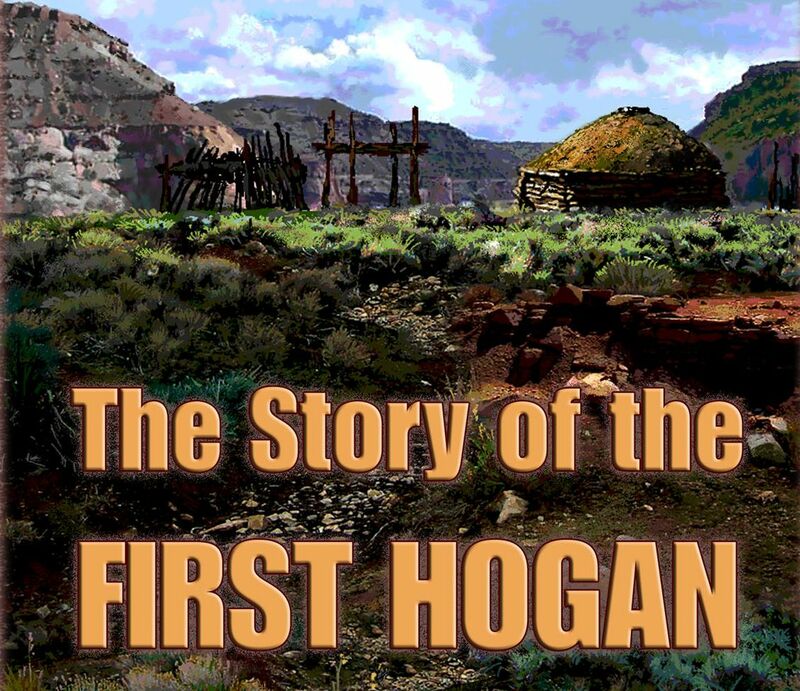 The Story of the First Hogan (Áltsè Hooghan), is a 38 page, bilingual “flip” book with beautiful, full-color illustrations by Charles Yanito. Story is told by Don Mose, Jr. This is a “perfect-bound” book, measuring 8.5 x 11”. The story tells how the animals helped First man and First Woman discover the type of shelter or dwelling that they needed for a home. 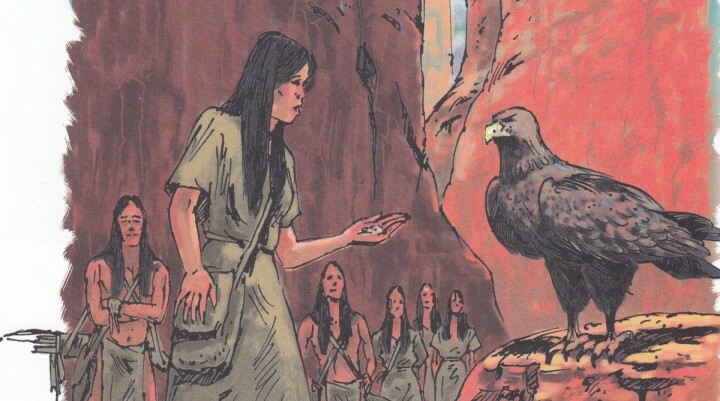 Readers accompany First Man and First Woman on a journey to discover the ideal type of dwelling for the Navajo People. First Man and First Woman find inspiration and insights as to how to design a home for themselves and future generations, by visiting the homes of their animal neighbors. This paperback book contains 20 pages and is realistically illustrated with original paintings created by Navajo artist, Charles Yanito. 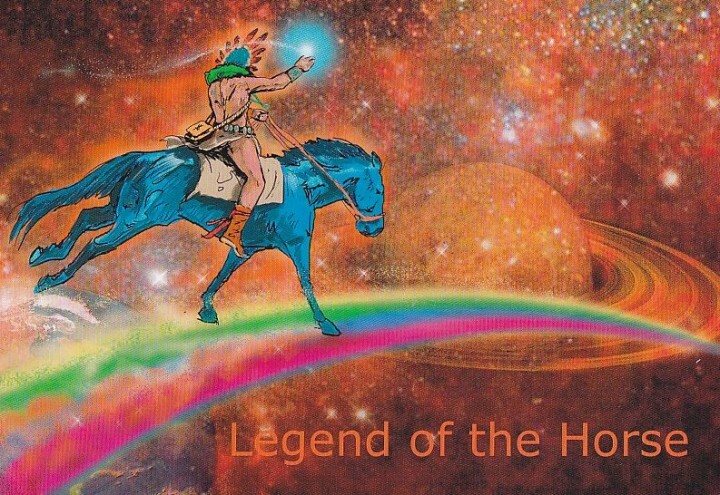 The Story of the First Hogan is a traditional narrative as told by Don Mose, Jr.
Sun bearer created the horse with elements from fathers God in mother Earth. 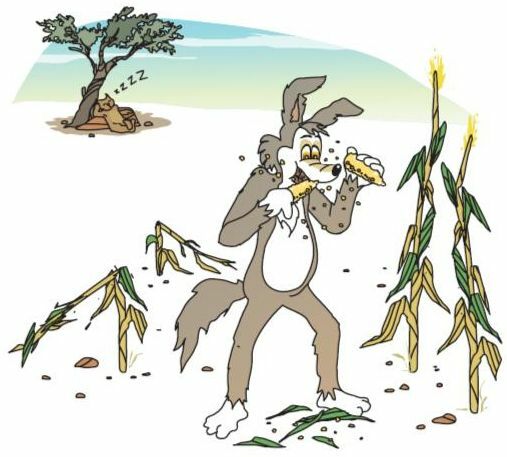 He made the horses years of sprouting plants, white corn. This made the horse keno hearing and alert to noises from far-off. He placed the stars and the dark universe in the horses eyes, so he could see the dark. Eagle water of every kind in the horses face, which gives him his shiny appearance in good health. Sun bearer used shells for the horses lips and teeth. 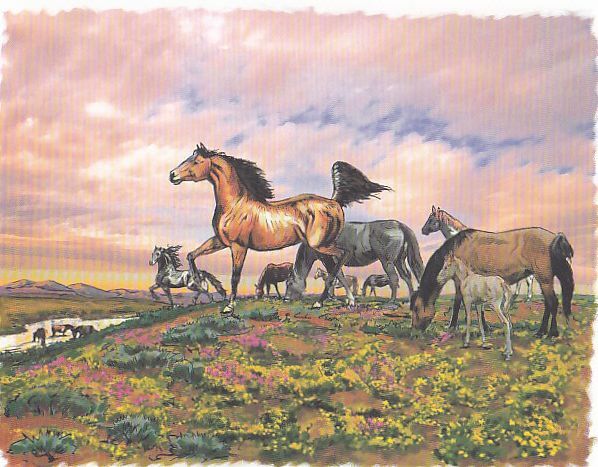 He created the horse so that when he gallops, he sounds like thunder, and his main and tall swirl like clouds or hang down like falling rain. His legs flesh out like lightning when he races. 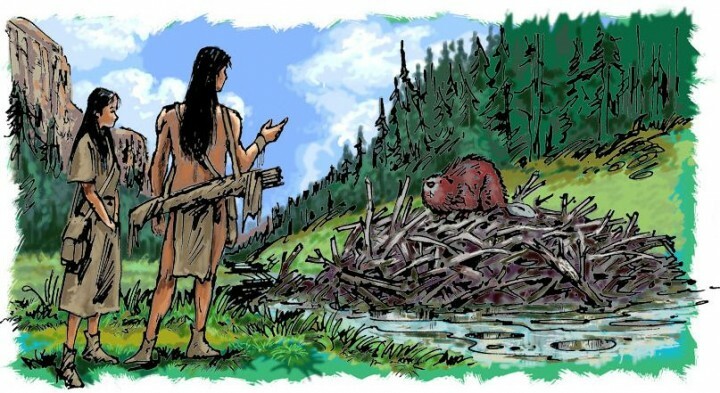 Sun bearer made his whose from precious stones, and his final creation, under each of the four groups, Sun bear place the special image of an arrowhead as a symbol of protection. 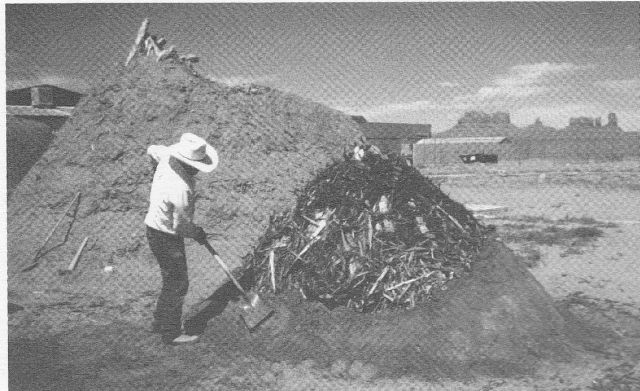 gift of the Holy People to the Diné. 26 pages. 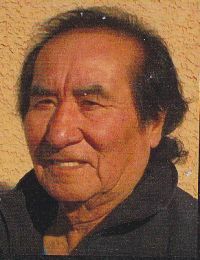 Don Mose, Jr., traditional storytellerDon Mose, Jr. is a member of the Diné Nation, originally from the small reservation community of pinon, Arizona. Storylling has always been an important part of Don,s life. 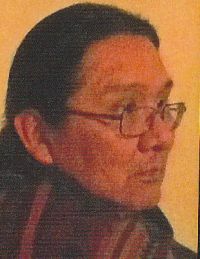 As a boy, Don listened to his Grandfather and his Aunt as they related the timeless history and narratives of the Diné. Don has commjtted his life’s work to sharing these traditional stories with the younger generations. ln his quest to keep the flames of Diné culture alive, Don has been inspired by the traditional people of the far north, the Athabascan relatives he met on his journeys to Siberia and the Yukon. lt is Don’s desire that these stories be used to help students. Charles Yanito artist and illustratorCharles Yanito was born in Bluff, Utah to the Tl’ash chii and the Toh dich’iinih clans. He attended the lnstitute of American lndian Arts and holds degrees from the College of Eastern Utah and Utah State University. He has exhibited his works in numerous galleries and regional art festivals. His illushations can be seen in many San Juan Schools Heritage Language Resource Centor publlcaflons, Currenfly, Charles resides in Bear, Delaware with his famlly.